Hey Bumfuzzlers, some truly awesome updates today! I know you Bumfuzzlers are going to love it! 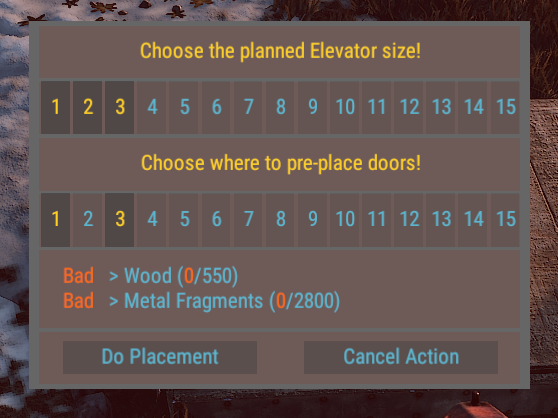 We’ve got a ton of changes and fixes and we’re going to have a wipe tonight, but the star of this update is going to be elevators. Yes, that’s right I said elevators 🙂 Read on! 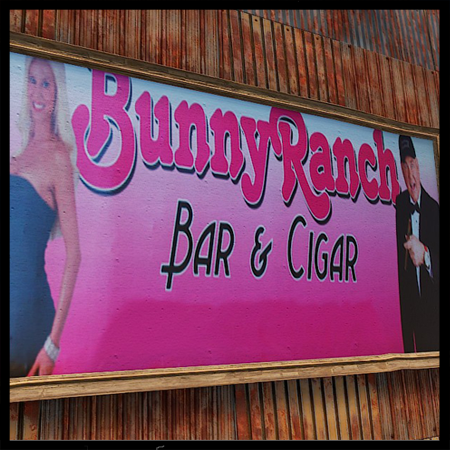 Bunny Ranch now gives access to the Bunny Ranch kit – Thanks CannonFodder! 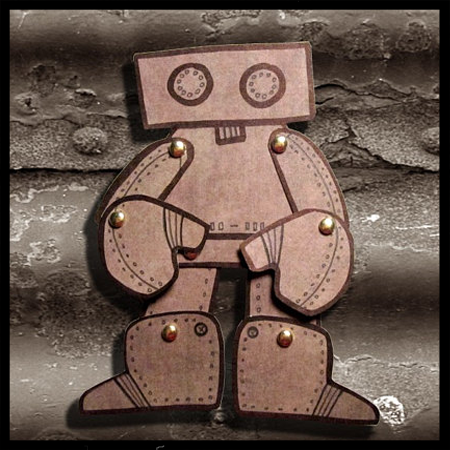 Recycle is now working for levels 22, 23 and 24 – Thanks CannonFodder! Teleport back (/tpb) function (part of Warpmaster package) now works – Thanks CannonFodder! Christmas presents should no longer be empty when spawning – Thanks CannonFodder! Christmas presents message/jingle now appears/plays – Thanks Ataxia! 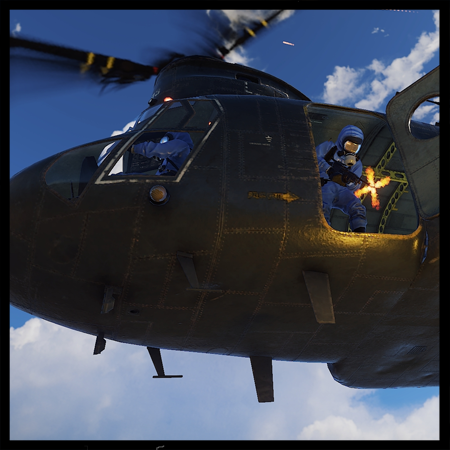 Crosshair images replaced, no more errors – Thanks Ataxia! 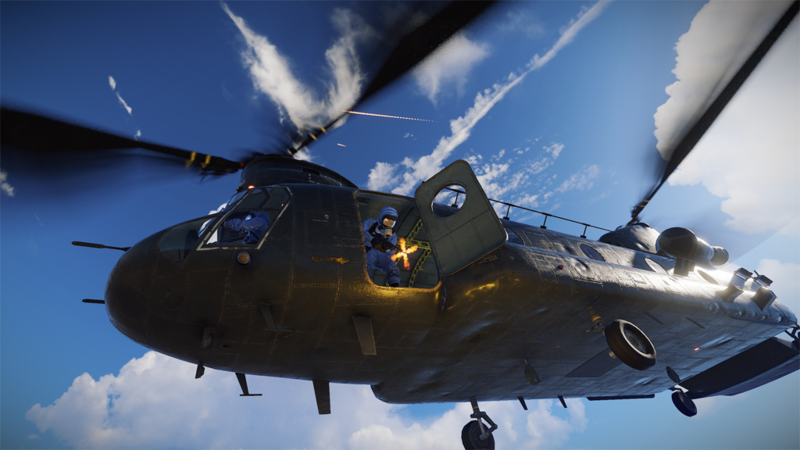 The SuperHeli and CH47 were spawning at the same time. 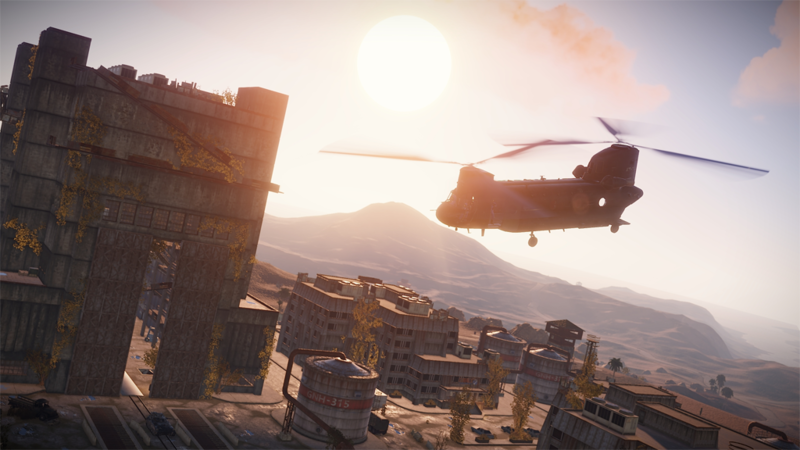 SuperHeli spawns between 2 1/2 hours and 8 hours – Thanks Ataxia! Trade cooldown was lowered from 5 minutes to 1 minute – thanks CannonFodder! Individual floors can be accessible by friends, clanmates, public, hidden, etc. 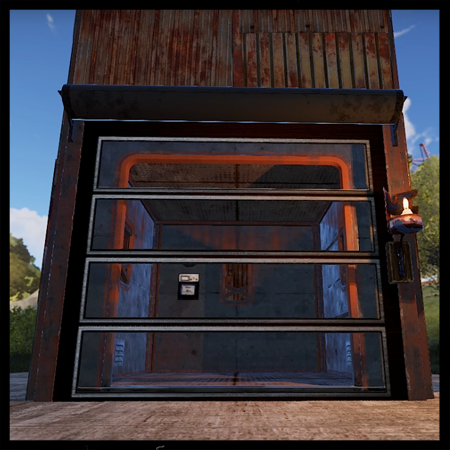 Here’s a video and a quick and dirty explanation of how you’ll create an elevator and generally operate it. How many stories will the elevator be? 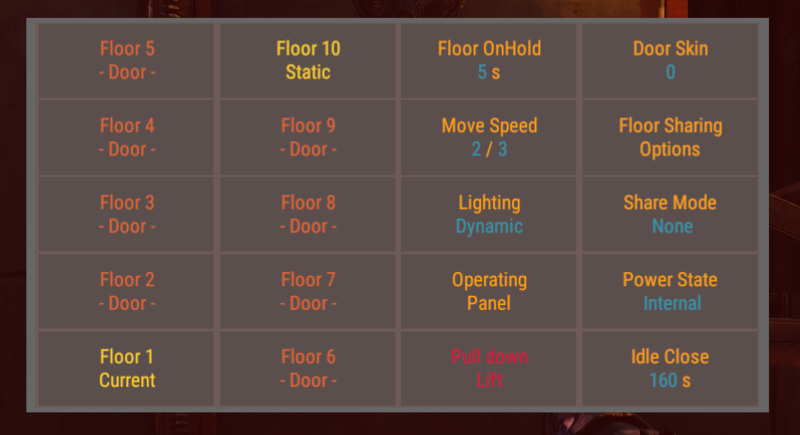 At which floors should doors be placed? 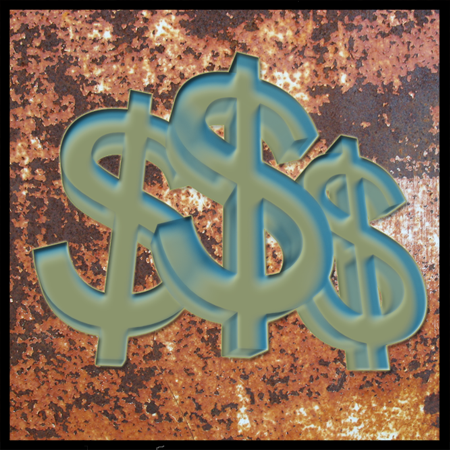 What will it cost you to build it? 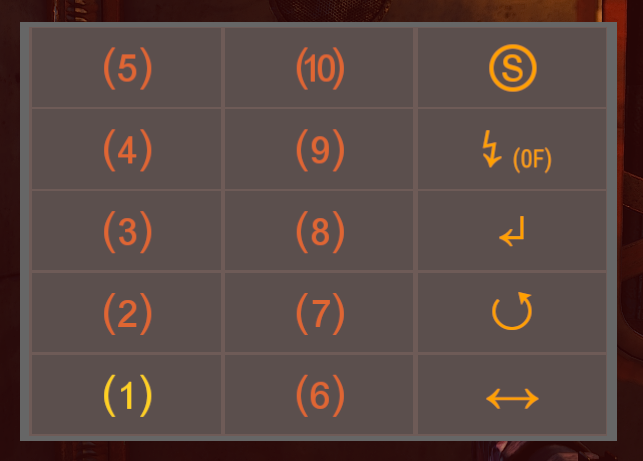 Accessing the Floor Sharing Options within this menu will give you the menu below. 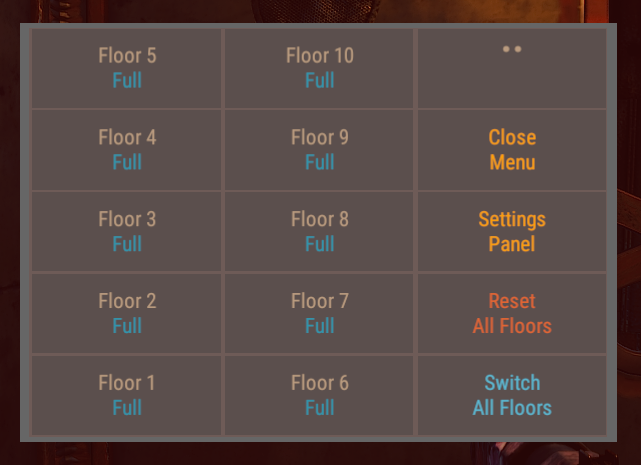 This menu gives you the ability to change the access to each of the floors individually. This is completely new so I expect some issues to creep up. In fact, I know of some things that could easily be used as exploits that I’m hoping are addressed soon. I didn’t feel like waiting until it got perfected because I saw the massive impact this plugin would make. That means, please as always, report to me the things you find with it. 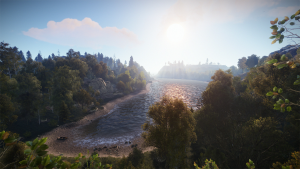 Big update this past Thursday! Got lots of new toys for all you Bumfuzzlers! 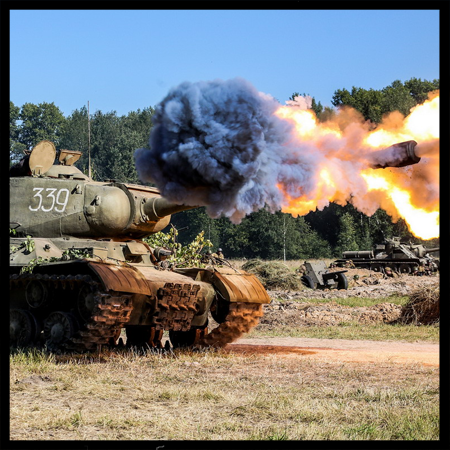 We’ve got everything from motor boats, to a new Chinook event, to triangle walls and more! 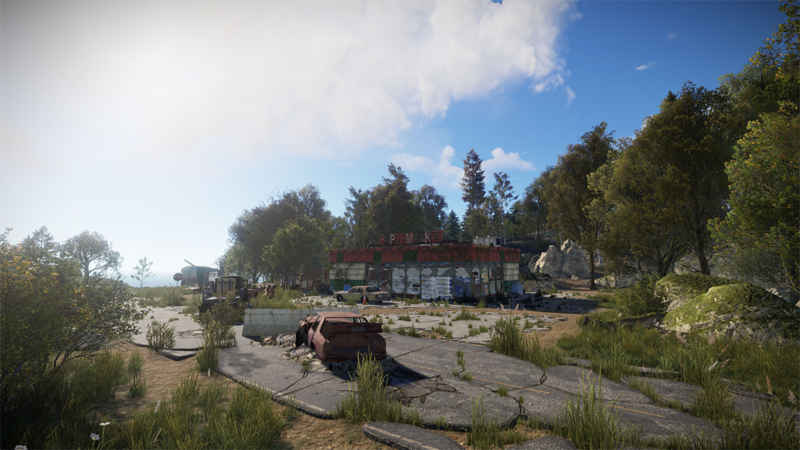 Here’s a quick overview of what’s new in Rust! 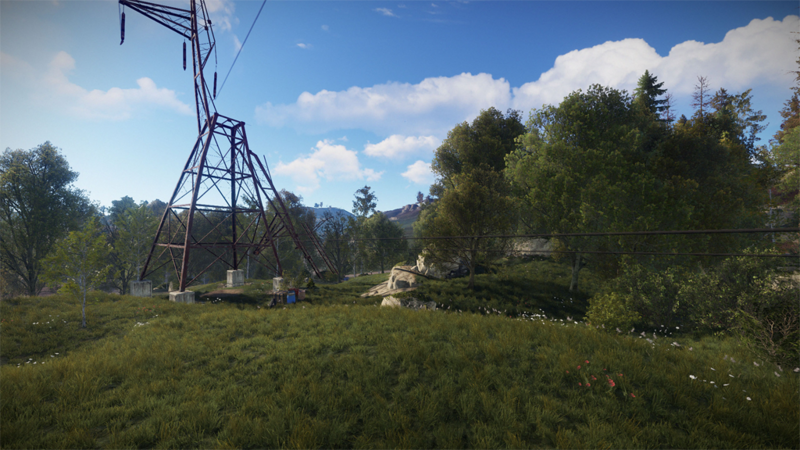 You’ll find somewhere around 48 spawned around the map. Make sure you fuel them up, push them into reasonably deep water and sit in the seat closest to the motor. Oh! And make sure to start the engine! 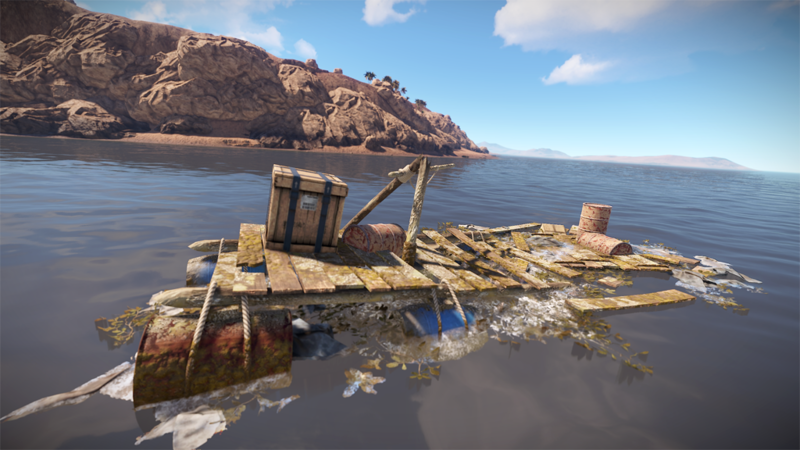 Also, now that you can skip around on your new high speed aquatic vehicle, you can get to the loot piles out in the ocean! As they were working with making boats float, it appears making bodies float was just as easy so now… bodies float! 🙂 It’s a good addition for those of us who enjoy realism. This thing rocks! 🙂 It’s filled with scientists, flying bullets and special cargo! 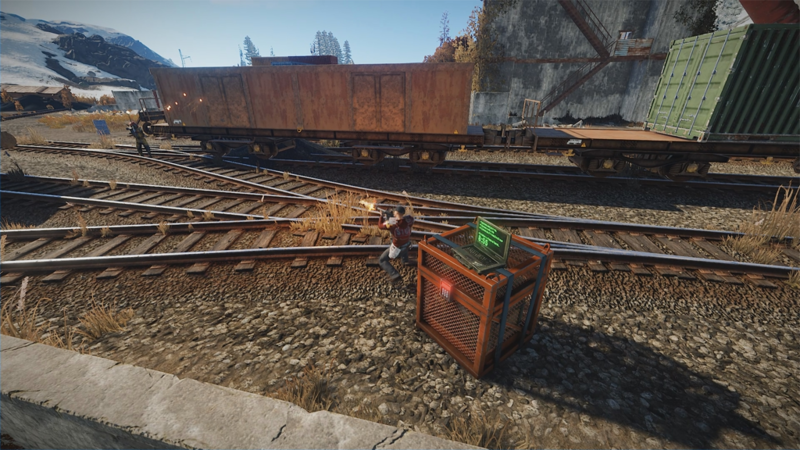 The cargo has a special lock on it that will take some time to open so you’ll have to defend it against other players. It’s said damaging the laptop will simply slow it down so best not to do that! 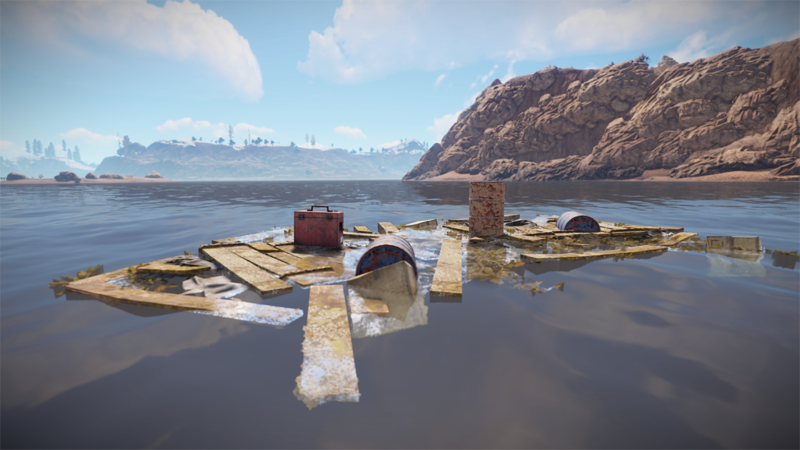 Now bullets have the proper reaction when shot into the water. It looks really nice! 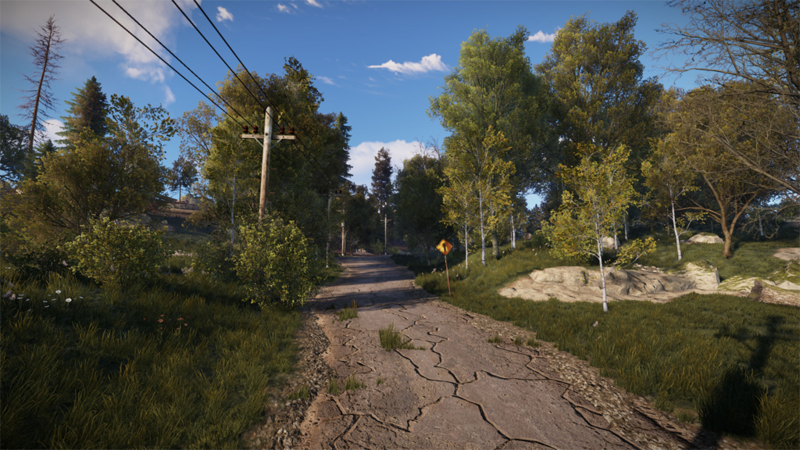 The foliage is looking quite awesome with the changes! Personally, I love using LustyMap (key m or /map – only available on Modtopia) but the game map has gotten some great improvements! There’s so much more detail now and you can really see the topography of the land. I do wish you could fully zoom out, but it’s still nice. 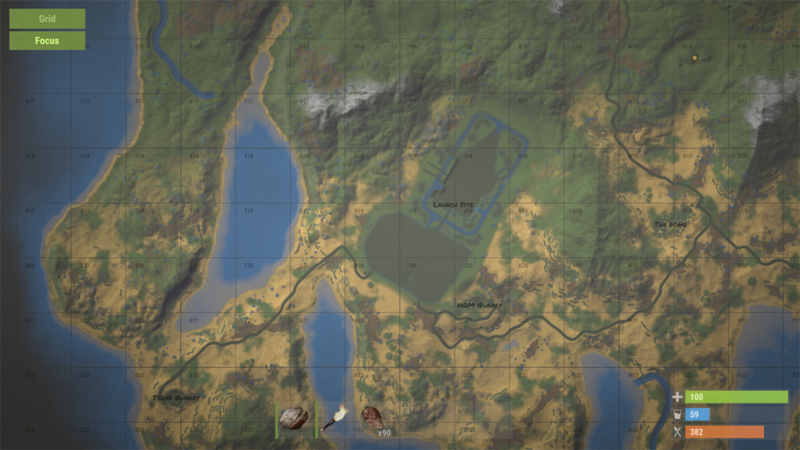 It shows the crate for the Chinook event real clearly on the map. I’m expecting an update to LustyMap to do the same. The AK47 now has increased recoil and a slightly more complicated recoil pattern during the initial burst. The AK47 now has less accurate firing from the hip due to an increased aimcone value for hipfire. For those who celebrate it, Happy Easter! With that, I’ve got some Modtopia updates for you Bumfuzzlers in the form of new event monuments for you to earn access to a new kit! Then we have some other updates as well. Check it out! For a while the map was disabled due to some underlying Rust issues. That’s now working again! 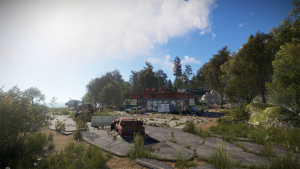 I hope Facepunch keeps it that way! There have been a lot of updates to Loyalty as of late and I have a few more coming! Loyalty is a huge part of the server culture, but I’ve always felt it was confusing and not very communicative. Most players had no idea they’d be receiving access to new plugins and kits or what they were. The loyalty plugin has been renamed to Prestige, but it still uses loyalty points. /loyalty now shows you not only your loyalty points, but your level and the points needed to get to the next level. Reaching a new loyalty level will now tell you the points you reached, the level you reached and exactly what you got access to for reaching it. 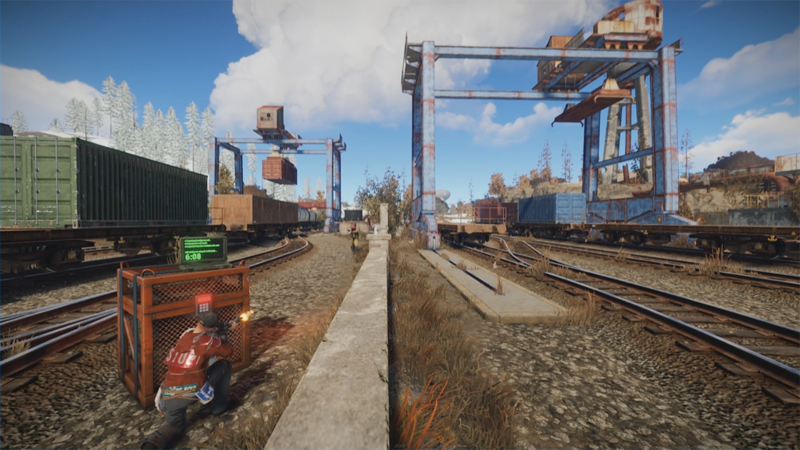 When a player reaches a new level, it will broadcast it to the server and tell others what they got access to. I’ve added 6 new levels for starters. These levels will give the players access to one plugin each. These plugins were plugins everyone had access to at the start originally. A timed message will be shown every ‘x’ minutes advising players of their loyalty points, the next level, the points needed to reach that next level and also what they’ll get. Possibly a GUI approach that shows a better indicator when a level is reached. Now that some skin issues were resolved by Facepunch, I’ll be enabling economics again soon along with the skin store and possibly a rewards plugin that allows you to buy kits, commands, plugins, etc. I have to balance it all so it might take a little bit of time so I’ll enable some of it right away and the rest over time. I’ve enable economics again and the skin shop, but when the wipe happens, I may wipe player currency levels and balance them a bit. I want items in the stores to be valuable so I don’t want players to gain too much currency. I have to strongly consider the earnings and costs. To access the skin shop type /skin shop and afterwards you can reskin an item by holding it in your hand and typing /skin. Have fun you Bumfuzzlers and drop me some feedback!